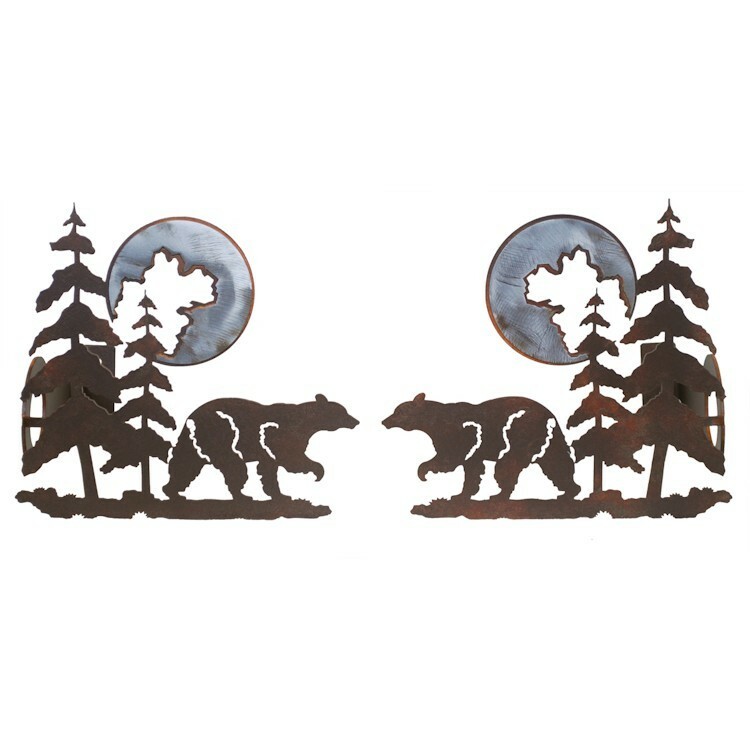 Add a wildlife theme to your windows with these Bear and Pine Curtain Rod Brackets & Tie Backs. 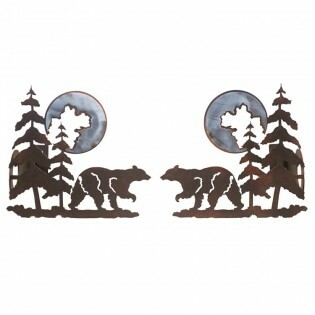 Made from hand cut steel in your choice of two rustic designer finishes. Natural Black Patina - is a handcrafted finish which may include some dings and scratches. This is left to provide a rustic character. The patina process takes place outdoors, which allows for variation of color anywhere from dark black to a small amount of gray, it will also vary from one piece to the next because of the hand crafted nature of the patina.